While purchasing an office chair, the first thing usually considered is its visual appeal. For instance, office chairs set the tone of the room and are one of the most used pieces of office furniture. The usual questions that pop up in the mind while looking for an office chair is that, does it fit in the decor of the office? Does it represent the prestige of the office in which it will be placed? However, there is more to this quintessential piece of furniture! When it comes to desk and conference chairs, material matters a lot more than its looks. Leather and Rexin –Material can pose a problem if it sticks to the skin or becomes scratchy. Although leather and rexin have the sticky factor, their smooth texture is not scratchy in the least. Dress code is also an important factor because when the employees wear long pants, stickiness is not going to be a problem. More than the material itself, foam in leather chairs is what plays an important role in its comfort. 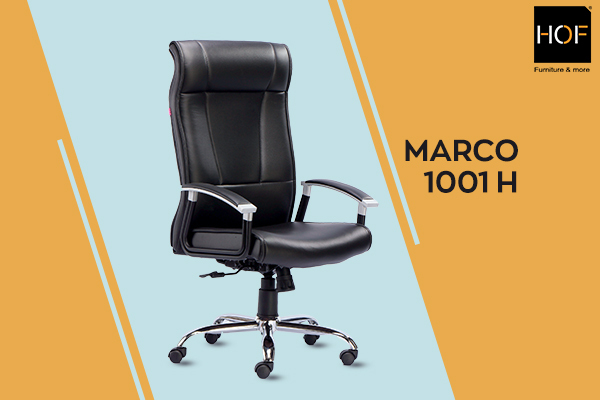 Good quality stuffing like the one in Marco 1001 will prolong the chair’s support structure. Both the materials are relatively low maintenance and can be cleaned with just a swipe of wet cloth. Fabric–Fabric turns out to be a good choice because the way it feels against your skin and there are a variety of cushion options for support. 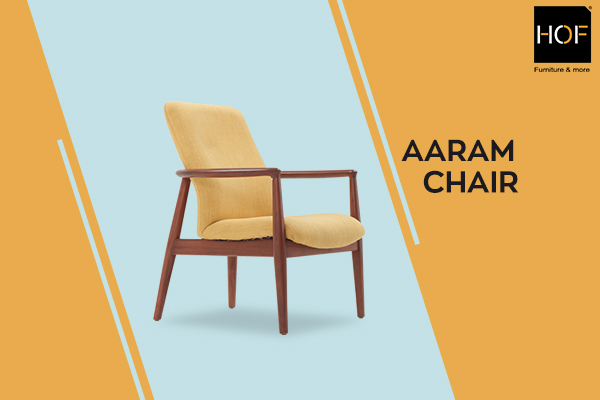 The endless colors available in Aaram chair give an array of visually pleasing options. Fabric ensures that you don’t feel unbearably hot while seated. Also, fabric options don’t risk cracking which is the opposite of rexin and leather options. But, cleanliness can be a concern in case of fabric. For instance, if a spilled drink is not cleaned properly, mold could become a problem resulting in overall decrease in the life of the chair. Mesh–Mesh is considered to be the breathable option of office seating that doesn’t tend to stick to the skin and has a variety of unique designs. It can be used to stretch over plastic or metal frames or as a suspension support so its range of ergonomic options is varied. 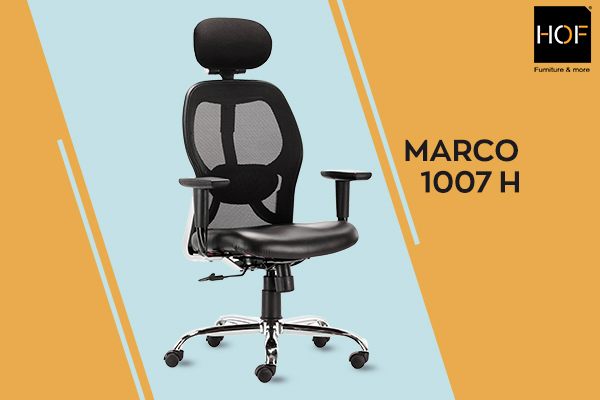 Marco 1007 will provide the user with almost customized support because of its adjustable features. Nevertheless, while purchasing a mesh chair one needs to keep in mind the quality of mesh for longer life span of the product. Loking for a chair with light fabric shades? Visit shop.hofindia.com now!